Easter Seals' mission is to provide exceptional services to ensure that all people with disabilities or special needs and their families have equal opportunities to live, learn, work and play in their communities. Easter Seals provides a variety of services to help people with autism and other disabilities address life's challenges and achieve personal goals. 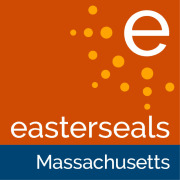 Would you recommend Easter Seals Massachusetts?